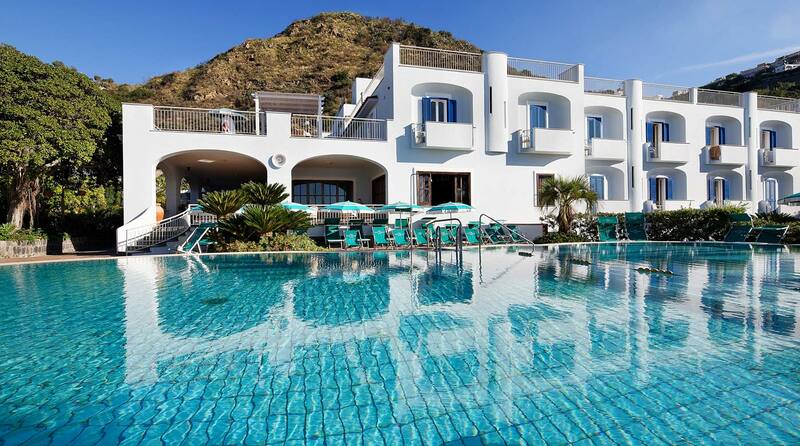 A unique hotel located right on the beach of Maronti, with thermal pools, indoor wellness area, hot springs, and surrounded by a garden. A long tradition of hospitality, carried on with passion by the Iacono family and their collaborators. Let yourself be enchanted by a place of timeless beauty. Amazing natural sights fill the eye and the fragrance of the Mediterranean scrub inebriate the soul. Parco Smeraldo Terme embodies the very essence of Ischia, the Green Isle: natural attractions, hot springs, sea, sun, and it is the perfect place to spend a holiday in Ischia. Right by the sea, the hotel features a private strip of sand, an outdoor thermal pool, the Corallium Thermal Spa and hot springs for pleasant moments of selfcare and relaxation. Pick one of the rooms furnished in the Mediterranean style with a view of the sea of Maronti, or of the green landscape of the island of Ischia. Cozy, spacious and featuring every hotel amenity, they are perfect for your stay. 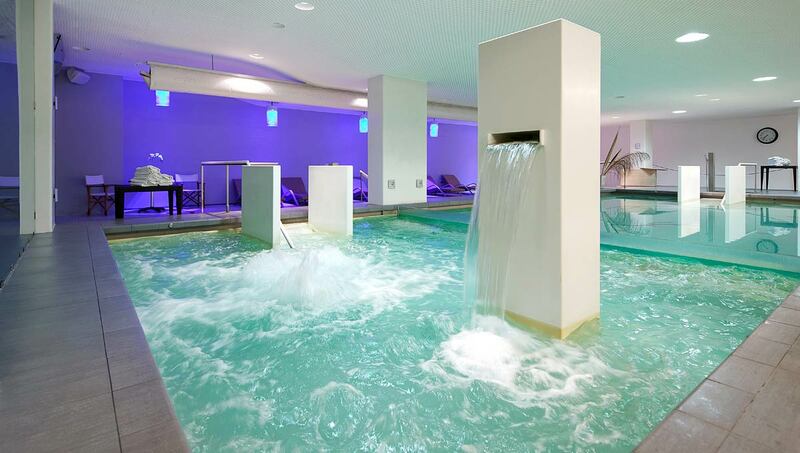 An oasis created to promote the wellness of the body and mind. 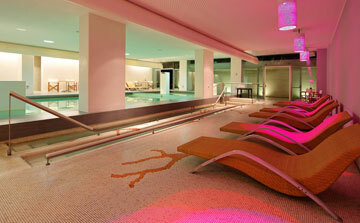 Try the benefits of thermal water in the Corallium Thermal Spa. Pamper yourself with an aesthetic treatment at the Spa, regenerate yourself with a thermal therapy. 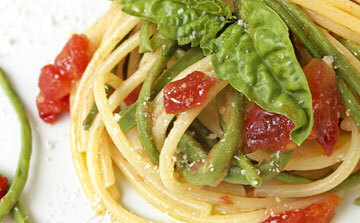 a light cuisine that bring outs the intense local flavors. 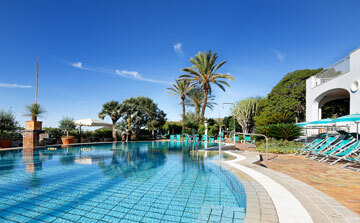 Sea or thermal water, at Parco Smeraldo Hotel wellness is everywhere! Three thermal pools filled with the energy emanating from Ischia’s volcanic subsoil, and then the reinvigorating and refreshing sea. The hotel that overlooks the sea of the bay of Maronti, wellness is everywhere: from the private beach (use included in the price) to the Corallium Thermal Spa, where thermal water is life. 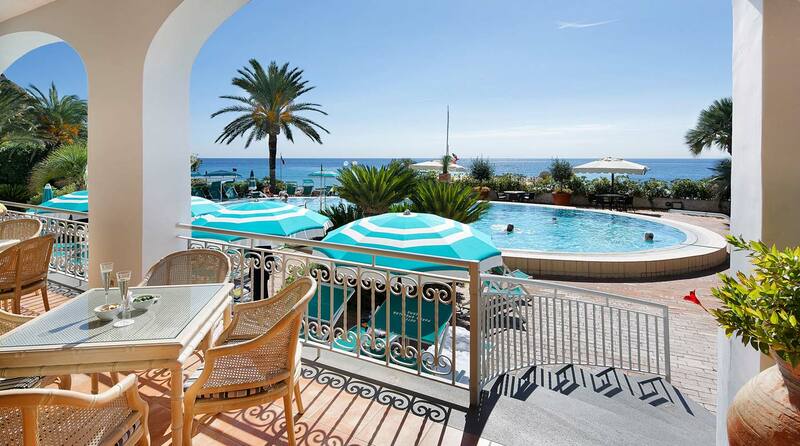 The freedom to enjoy the independence of a summer house by the sea, with all the amenities of the nearby hotel. These are the apartments of Residence Parco Smeraldo. 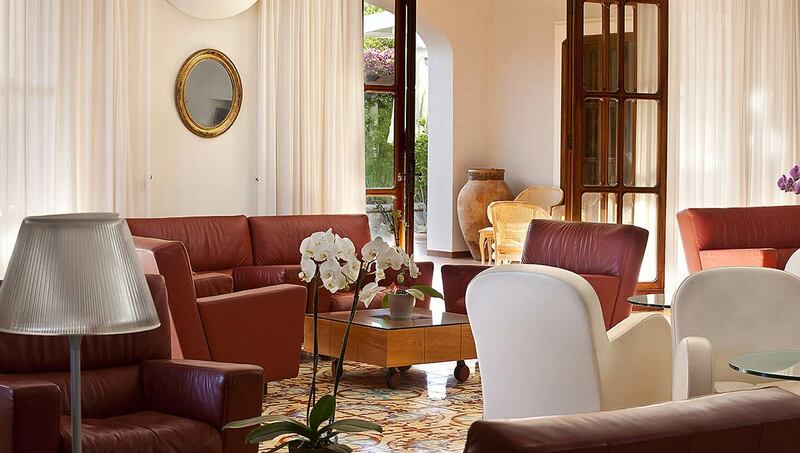 At just 250 meters from the hotel, the right place for an excellent holiday in Ischia. Immerse yourself in wellness. Relax with a combination of thermal and aesthetic treatments recommended by our staff. 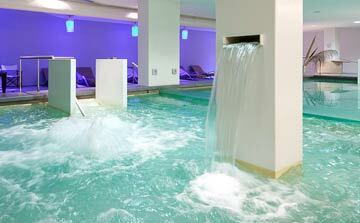 Unwind in one of our three thermal pools, with an emotional shower, or a hydro-massage. Rejuvenate yourself with a session of mud treatments and balneotherapy. The Corallium Thermal Spa features two indoor pools with different types of hydro-massage, hot-cold Kneipp vascular circuit and stones for reflexology, cold-and-hot aromatic emotional showers, lounge area and access to the beach. 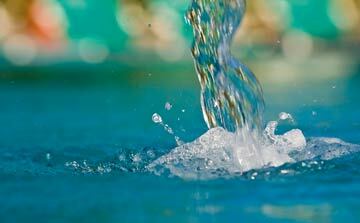 Discover the properties of the hyper-thermal water that we extract from the subsoil at 80°C. A waterfall of benefits for the body and the soul, a natural balm for pain and ailments. Every change at wellness to enjoy during a stay in Ischia. 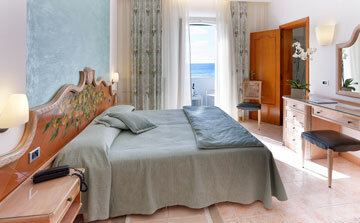 Pick the best package offer and add it to your holiday in Ischia. Thermal treatments can heal ailments, alleviate muscular pain and prevent several pathologies. Discover the best treatment for you, or let our qualified staff recommend one to take care of your well-being. The ancient origins of Ischia’s hot springs and wellness are the stuff of legend. The philosophy of sanus per aquam of the Green Isle is a mix of relaxation, thermal baths and unrivalled beauty treatments. Our water, extracted from the aquifer at 80°C, is the base of mud preparations, therapeutic baths and respiratory cures. 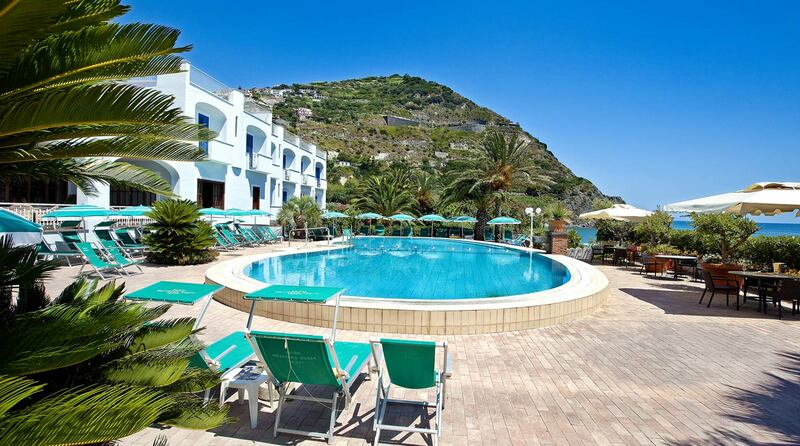 Hotel Parco Smeraldo is located in the southern region of the picturesque island of Ischia. 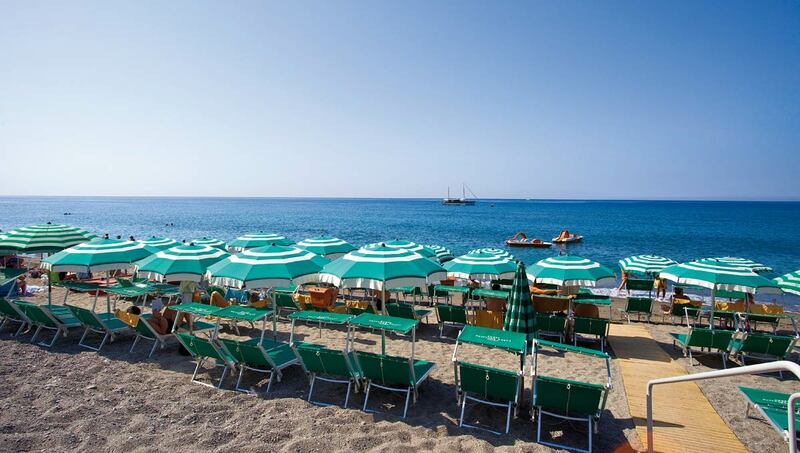 Resting right by the enchanted sea of the bay of Maronti, the hotel is at just 8 km from the heart of the island, Ischia Porto, and ten-minute water taxi ride to the town of Sant’Angelo. Ischia is ideally located within reach of the main attractions of Campania: Pompeii and Herculaneum, Positano and Amalfi, Capri and Procida.